Pioneer is currently celebrating 20 years in the DJ game, but will it reach 21? 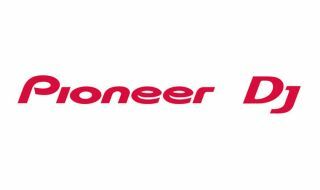 Rumours began to circulate last that Pioneer might be about to sell off its DJ gear business. Pioneer, of course, is one of the biggest players in this particular market - one that appears to be booming - but a report by Reuters last week indicated that the company is in "the final stages" of selling its DJ equipment business (which is valued at around $570 million) and that global private equity firms are among the bidders. The DJing community quickly seized upon this news, prompting Pioneer to release a statement saying: "Pioneer is currently considering every possible measure with respect to review of its business portfolio, including sale of DJ equipment business. However, no decisions have been made. We have no other comments on this matter." What a sale might mean for the DJ market as a whole is open to debate, but with speculation now rife, it would surely be in everyone's best interests for the situation to be resolved as soon as possible. We'll bring you more news when we have it.